Public art and architecture share the same domain. They are a dance between adhering to the artist or architect’s personal intentions impulses, and inclinations, and fulfilling the needs of the community the work is being produced for. 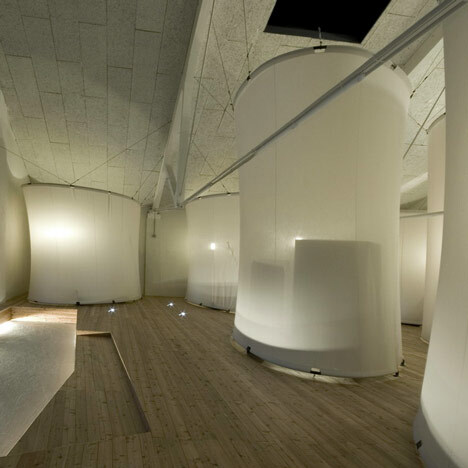 A balance between the artist/architect’s subjective sense of “beauty,” (lets call this aesthetic and conceptual ‘harmony’) and their understanding of “goodness” (lets say the communally understood aesthetic and conceptual ‘morality’ of the work) is difficult to reach. Often, the agenda of the artist/architect must submit to the communal good, or the community’s agenda must be sacrificed for the artist/architect to retain a sense of identity in their work. Through my involvement with the 601 Tully project, I have reached a new connection with my community. As a student at Syracuse University, I feel there is a distinct separation between students studying and living here, and the others who inhabit the city. Classes like 601 really help to pull down these illusory walls that separate the University (which actually represents, along with the hospitals, the main revenue stream for the city) and the rest of Syracuse. With this new sense of inclusion in my community, I find there is a new passion behind the work I produce. It is not just a masturbatory quest to satisfy my creative impulses, it has a communal purpose that reaches toward a greater goodness. Labels: Salvaged chairs with bent plywood seats are stripped of their upholstery and re-envisioned to give new life to discarded chairs. 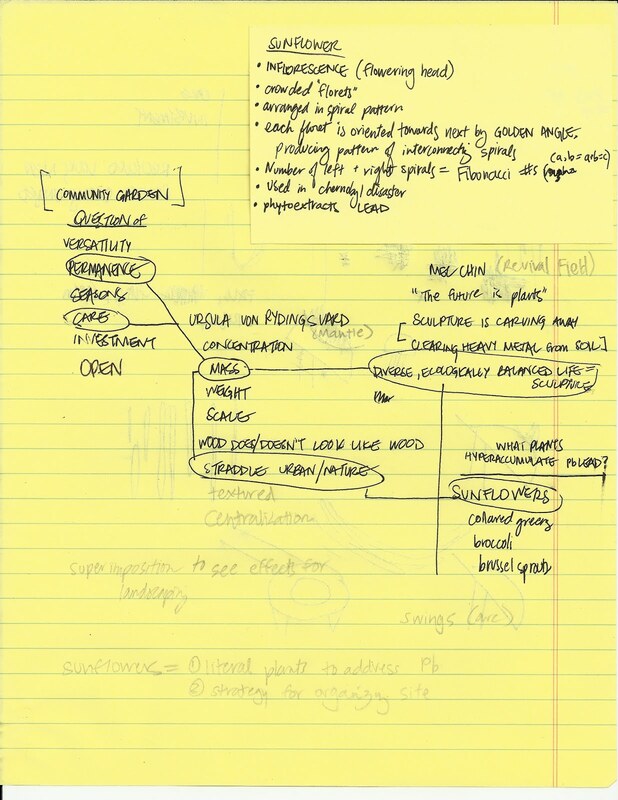 As Industrial Design students we have started the ideation process for a Butterfly House at 601 Tully. 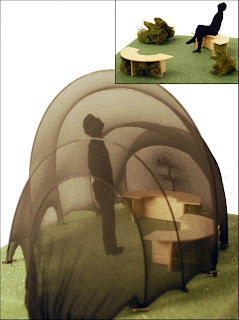 We began with all sorts of very grounded tent structure ideas. We wanted a functioning space to remain after the butterflies were released and the tent portion was removed. We moved on to more whimsical looking spaces in an attempt to create a fun experience for the kids that would be using this space. 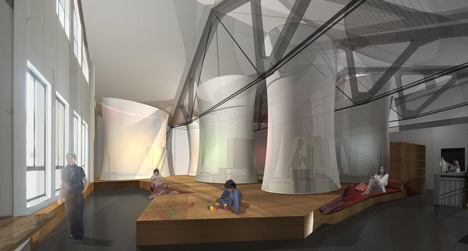 In addition, we also considered some other interior elements that could be used by children. We hope to see this project continued in the spring and summer of 2011. This is the coffee table I have been working on and just finished before the semester ended. 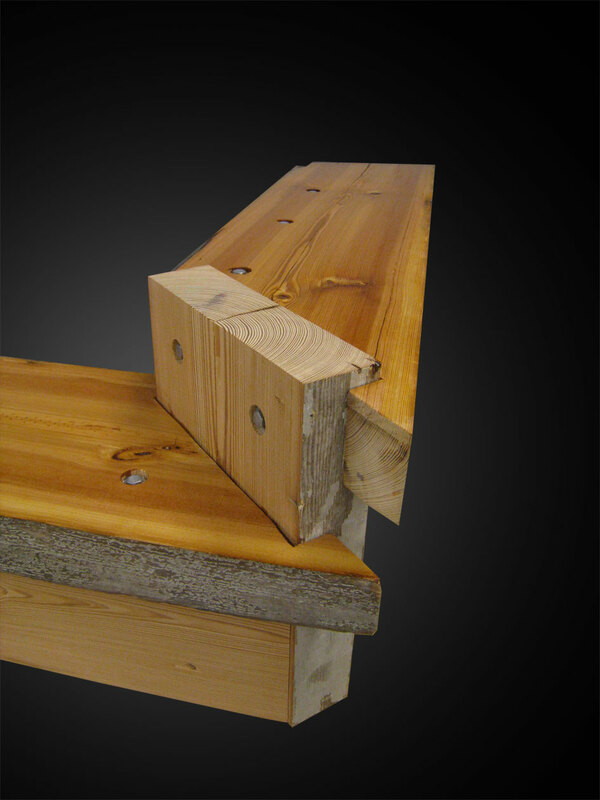 It was made from all the left over scraps from the 8"x*8" pine we used for our benches. A lot of the wood had checks and knots so I tried to paint it in a way that would work with those. Heres a view from under. Here's a view of the connection detail of the legs to the talbe top. A picture of Brian testing it out. Tyree Guyton's start as an artist came with his creation of the Heidelberg Project (http://www.heidelberg.org/), a site in Detroit that cleaned up a neighborhood through the collection of trash and re-appropriation of that trash into a large scale art piece. The project has expanded since to include educational and youth programs, as well as being the site from which other community improvement projects are formed. I propose that a similar process could be used at 601 Tully. 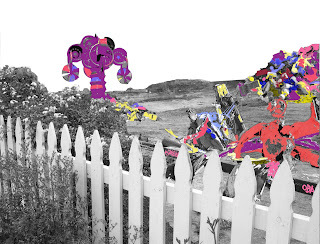 By redistributing trash or unused materials from the neighborhood, the garden can be transformed into a space not only for landscape, but also as a space for an interactive sculpture garden created by the collected refuse. These pieces can be part of a process of bringing in local artists to teach neighborhood kids how create large scale sculptures. Part of the garden would be specifically devoted to the creation of the art pieces, while the rest could turn into a more tradition landscaped garden some of the sculptures scattered among it. In reference to the Bloomtown project presented by Tony, I was also very disappointed in its attempts to call itself a community engaging piece. The problem with it is that it is merely an “art piece,” it is a visually stimulating/engaging. What is different about the 601 Tully project is that while it aims to become a visual art piece in the community, it also adds a layer of physical engagement. 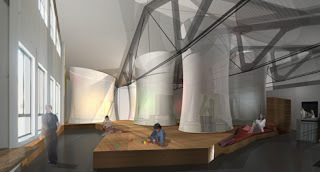 Not only does it propose a community art space upon its completion, it interacts with the community on different levels with the community throughout its construction process (for example: the wall drawing and floor poems). In this way I agree with John’s categorization of 601 Tully as Kwon’s “Invented Community” because 601 Tully is process of community interactions/relationship,s rather than a static art piece that only attempts to visually stimulate its community. A way in which a project such as the Bloomtown project could be furthered to be not only a visually, but also physically engaging project for the community like 601 Tully. 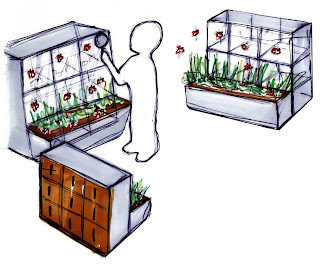 To succeed in this an example proposal that could add that additional layer of engagement can be created creating a set of wire-frame furniture within the “flower plans” that could be used to grow food for the nearby residents. By incorporating an element, food, that is necessary and is actually lacking for the nearby residents, the Bloomtown project will find itself as both the visually and physical engaging project that makes 601 Tully a social art project. Interestingly while we were in Detroit, we were also able to visit the Heidelberg Project by Tyree Guyton, the artist and inspiration I used for my proposed garden at 601 Tully. The Heidelberg Project is also a good example of a social art project that engages the community at a scale of community involvement that I believe 601 Tully is eventually aiming for in the Near West Side. Outside the classroom I have a tendency not to engage with projects such as 601 Tully. In a way the reason I signed up for the course was to understand how to become involved using my skill sets, rather than relying on a title (such as those we discussed with text between the architect and artist) to define me to a specific role in such projects. I feel this class has opened up my understanding that there are opportunities to positively engage with the community and they are easier to become a part of than I thought before. I hope to become more community aware through my design processes. Regarding Sculpture Chicago, Kwon discusses how this initiative was successful in “forging partnerships…between the artists and the local groups.” This new genre public art does only exist through organic relationships, and it should not be regarded as inauthentic if community-based initiatives are a result of said collaboration. 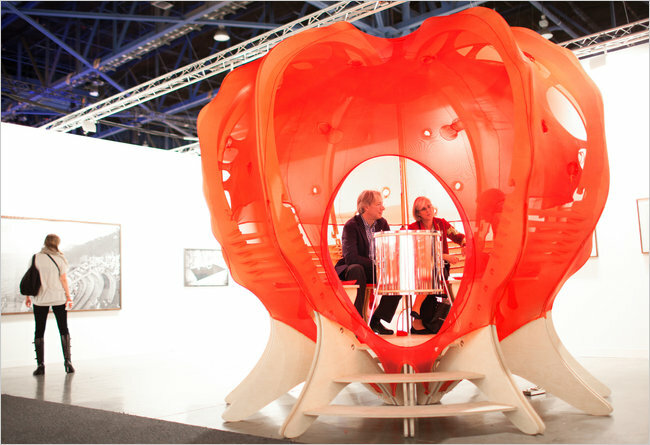 It is this mediation that protects the best interests of the community for which the art is attempting to benefit. If it was not for this mediator between artists and local groups, community-based initiatives would be overshadowed by the agenda of the artists, regardless of if positive social and political change was achieved. The political and social framework that defines a particular need in the Near West Side has already been established by the people who live there, as well as the government which recognizes these challenges. 601 Tully presents itself as a platform for which community and artist involvement can perpetually collaborate. The project itself exists in a state of unresolve which allows someone in my position, now and in the future, to bring meaning through their own contributions. Moreover, 601 and the social sculpture class itself address the issue of “critical unsiting” advocated by Kwon. Despite its geographic location in the Near West Side, we have constantly questioned our involvement and practices in the area; is the site what defines the community or the community what defines the site? By haphazard association, the entire community is in danger of being overgeneralized by artistic intervention. This is examined by Kwon in the discussion between Teddy Cruz and Rick Lowes about Project Row Houses. Therefore it is our responsibility to provide an adaptive social infrastructure to address the needs of a community which they define. As a student of architecture at Syracuse, I regard myself as a liaison between artifacts and catalysts; form and function; process and product. By focusing on these components at multiple scales I can provide critical perspective and offer innovative solutions to influence social improvements. Though it sounds vague, I believe it is the architect’s responsibility to provide these solutions on so many different levels, and unfortunately this can lead us to have an identity crisis, both in how the public views us and how we view ourselves. Architects and design professionals were in the past acknowledged as the expert negotiators between art and urban spaces. 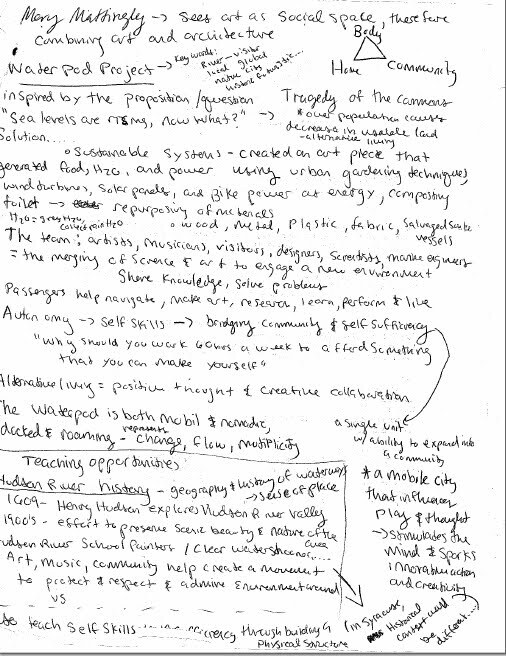 The "Culture in Action" project gave this role to the "community", privileging its role in collaborative partnerships forged by the program which created models - resembling profound symbiotic forms, their organization typically non-hierarchical - for art whose engagement strategies were a part of its aesthetic language. "Culture in Action" affirmed Lacy's claim that what exists in the space between the words "public" and "art" is an unknown relationship between artist and audience, an engagement that may blur and redefine the two, which may itself be the artwork. The tensions between those two words are the basis of much of our discussion about 601 Tully. 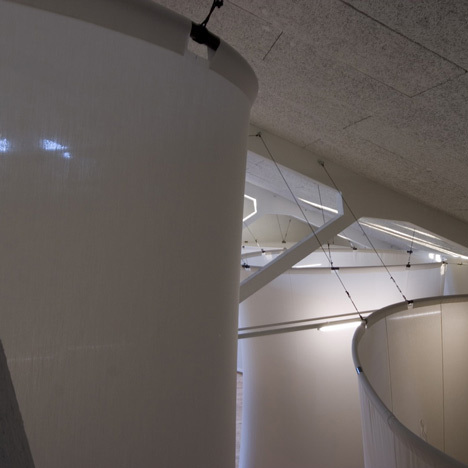 Through the conflict and negotiations between institutions and individuals, between the community as a whole and the artist/delegate, between "public" and "art", hybrid projects like 601 Tully are created, in which the smaller entities (the class) are in charge of producing newness and flexibility, while the larger entities (the politics of Syracuse) maintain the minimum of stability. The issue of difference is critical to any understanding of identity formation, collective or otherwise, and the limitations of community-based art. 601 Tully seeks to understand these differences to better serve the community of the Near West Side, a politically coherent geographic area whose formation and development were actively controlled by politics. As a piece of 'new genre public art' 601 interacts with the audience, or community, about issues directly relevant to their lives. That is why the exact role of the place is left a little undefined, for the community to fill in the blanks later when it can understand its needs for the place better. 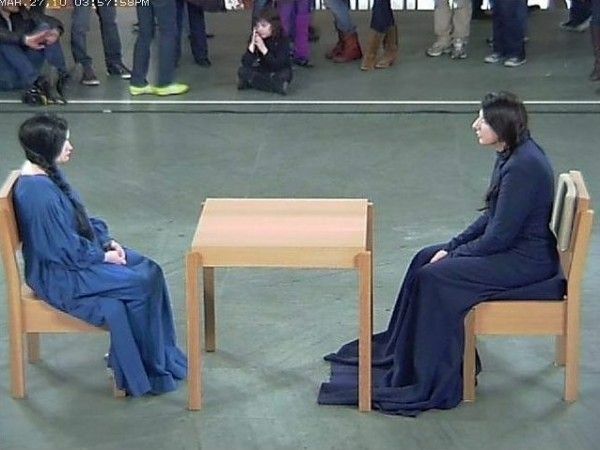 Kwon argues that art in the public interest can and should affect social/political change. 601 Tully encourages community coalition building in pursuit of social justice while at the same time acting as the agent, a privilege granted to them by higher institutional powers. I got involved with this project as a way for me to get involved in the Syracuse community as a whole. I wanted to understand the new place I was living, and what better way than on a project that actively engages a part of it, and strives to understand the difference (and privileges) between "them" and "us". Success of community based art can be measured in the extent that the self expression of the community affirms the notion of a coherent collective subject and I hope that 601 will continue to be successful and affect the change needed by the community of the Near West Side. I've learned from my participation in the class that the sum is always greater than the whole. Our class and the larger 601 Tully family partaking in the project are individuals making up the artistic whole. The same thing goes for the Near West Side community; it is made up of individuals each bringing something special and different to the whole. 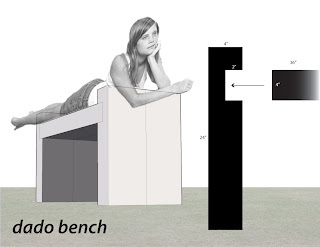 My work with 601 focuses on these individuals, rather than the whole entity, by crafting benches with care and by helping each person have a voice on the wall of drawings, all exclaiming their uniqueness. In my own work, both as an architect and an artist, I always want to be involved in the community, not to be removed from the people my work is for. Architecture is ultimately a service industry and as such I want to always be able to understand the privileges and differences between the industry, myself, and the individuals/whole of the audience. As an architecture student participating in the realm of the artist, I am finding that working on 601 Tully to be a rewarding learning experience. I have found that the attention is focused on how the occupant will interact with the building on a very small scale and therefore great care is placed in perfecting the details (like embedding small bits of color into a table-top or crafting every seating surface and floorboard by hand). It is a focus that is often overlooked in the grand scheme of architectural design, but one that I have learned is crucial to the overall experience for the occupant. 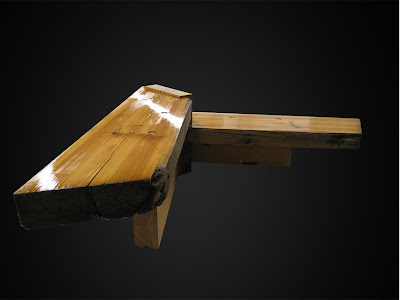 We intended to build a bench that would preserve the massive characteristics of the original timbers while producing something tectonically elegant. 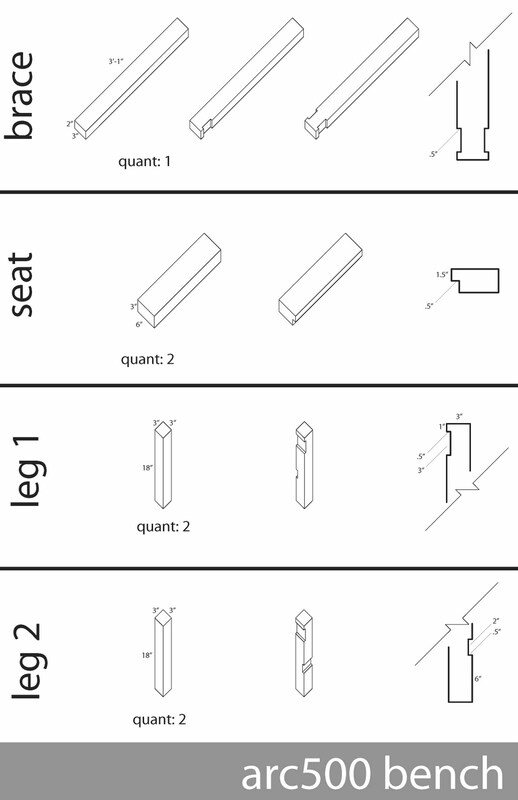 Using simple methods of wood joinery, compound dado cuts were made in each component, allowing each plank of the bench to affix to another. Hopefully this created an inherently strong structure (though, glue and screws help). The bench was designed with Rhino, a 3d modeling software. 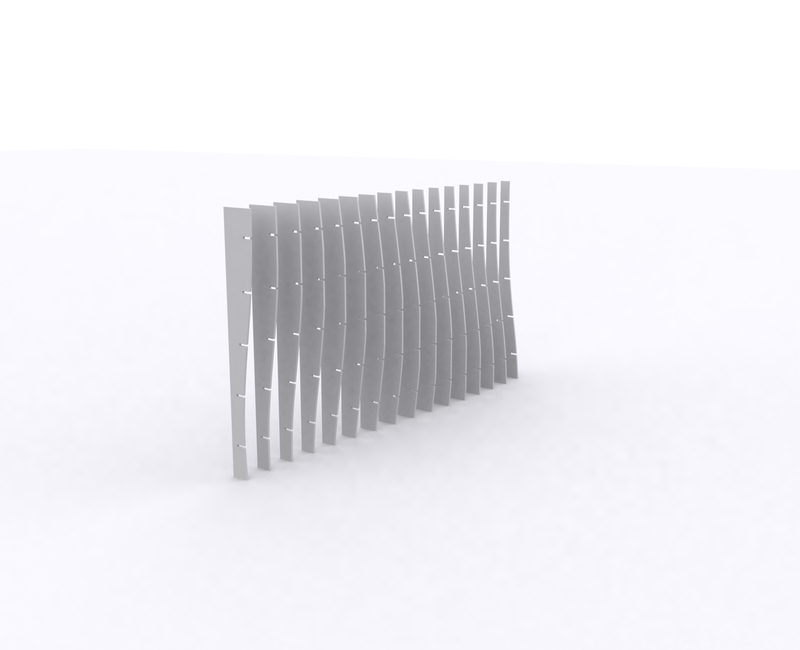 Using a boolean difference operation, which subtracts overlapping volumes, the individual pieces and the location of the dado cuts could be accurately modeled. Richard Serra is an American minimalist sculpture known for his large meandering cor-ten steel sculptures such as A Matter of Time in the Guggenheim Museum in Bilbao. Designed to be site specific, each sculpture is constructed to juxtapose human scale. This juxtaposition is compounded by the precarious balance of the immensely heavy pieces of rolled oxidized steel, creating a dialogue of tension and phenomenology, or the inherent sensory properties of building materials. 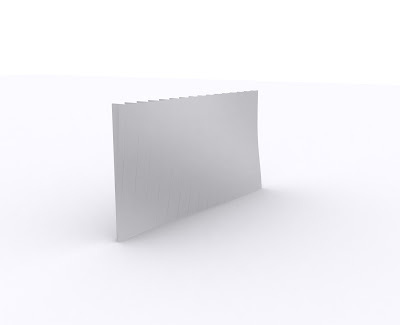 I propose that for the 30’ x 30’ garden plot on 601 Tully, a sculpture in the style of Richard Serra can be implemented. However, I believe several design elements would have to be considered in order to make it effectively functional and advantageous. First of all, the sculpture can stand as a metaphor for rust-belt cities in America by literally utilizing sheets of oxidized sheets of steel. Perhaps this material can be found locally, therefore adaptively re-using what would otherwise be discarded. 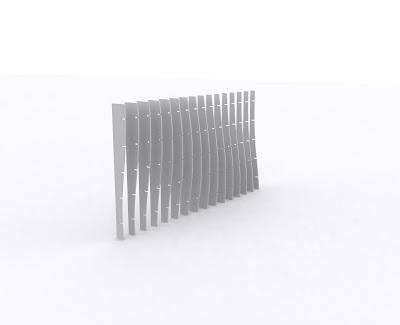 Secondly, this sculpture is a detriment to clear sight-lines and may present an issue of safety; therefore I suggest that the steel be modified with a series of punctures to create porosity. I also believe that this modification presents an opportunity to create a rasterized dot design of a symbolic image. 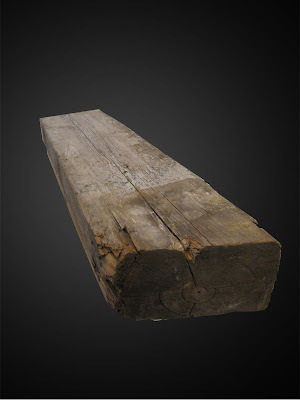 Lastly, in a second iteration, I believe the material of the sculpture can be modified for wood construction. This wood sculpture can be constructed in such a way that it can bend and fold to accommodate different spatial configurations. In addition the contoured nature of the wood construction will allow for visual gaps between the pieces, creating a porous structure. 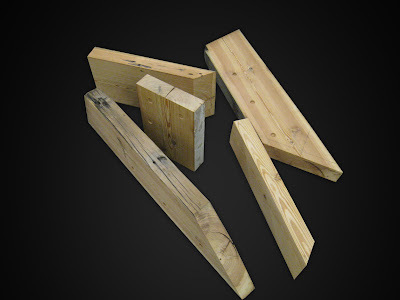 Additionally, this wood can be provided from scrap material from local construction sites. Below are photos of the Bench that Annie and I designed and built. 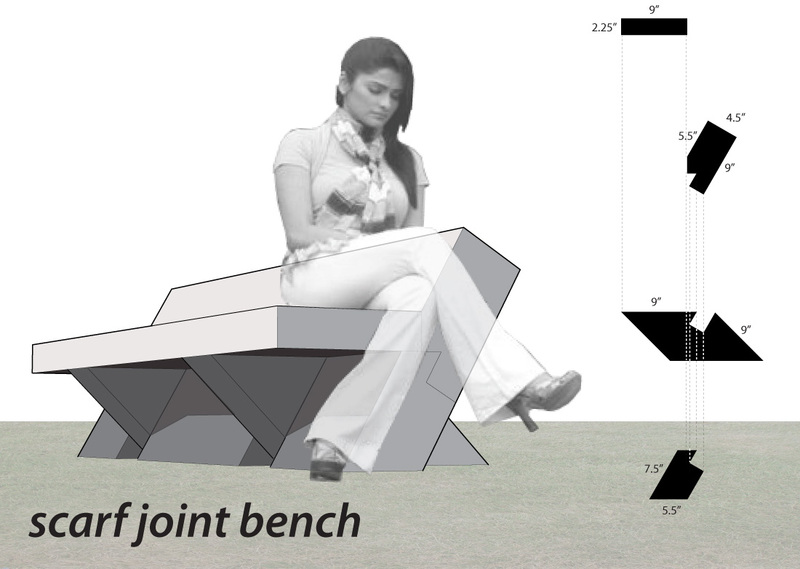 In addition, we placed the two seats at different heights which serves two purposes. First, in the classroom setting, the different seat heights would allow children and other shorter adults [i.e.Annie... :) ]to be more comfortable, while also providing seating for taller users. Second, when used for conversations, the opposite arrangement of seating would be used. That is, children could sit on the higher seat, and adults on the lower in order to promote better eye contact between the conversing parties. 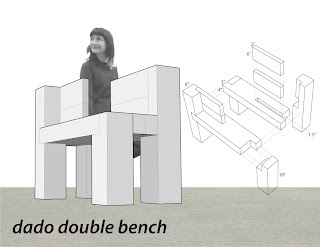 My design for the garden space was based on the performance art of Marina Abramovic, an artist whose performance work has focused on exploring the physical and mental limitations of the body. 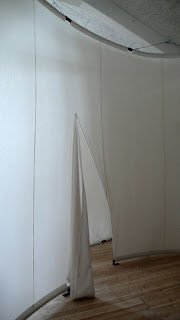 Her work also attempts to engage with the viewer in an intimate and personal way to test their limitations as well. 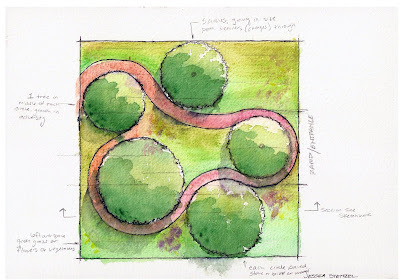 For my design of the garden, I wanted to capture the performance, or the act, of gardening, and use that act as the intimate connection that would engage passersby and pull them into the garden both physically and mentally. I also wanted to enhance the entire process of gardening from every possible angle. To accomplish this I separated the garden into three zones, each one having a different relationship between the gardener and the garden. In the first zone, I designed a raised plant bed that is flanked on both sides as a reinterpretation of the dining room table. To the viewer and the participant, the act of planting, caring for, and harvesting takes place “at the table” to elaborate on the delicate process of growing food. In the second zone, four single-user raised planters are laid out in specific positions. 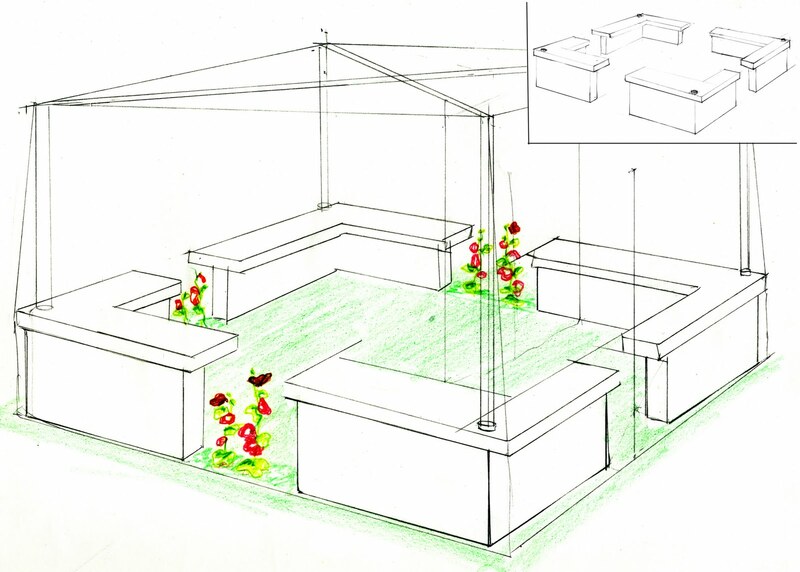 The planters are designed so that 3 of the sides are raised allowing only one means of access to tend the garden. This access registers with an opening in the dividing wall between the street and the site framing the gardener as they work. This provides those outside the garden a controlled, engaging view of the act of gardening. The third zone is a larger, more public garden. 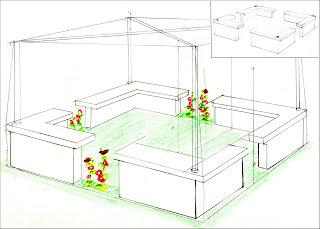 A raised planter is surrounded by seating on two sides to allow comfortable viewing of the activity within the garden. 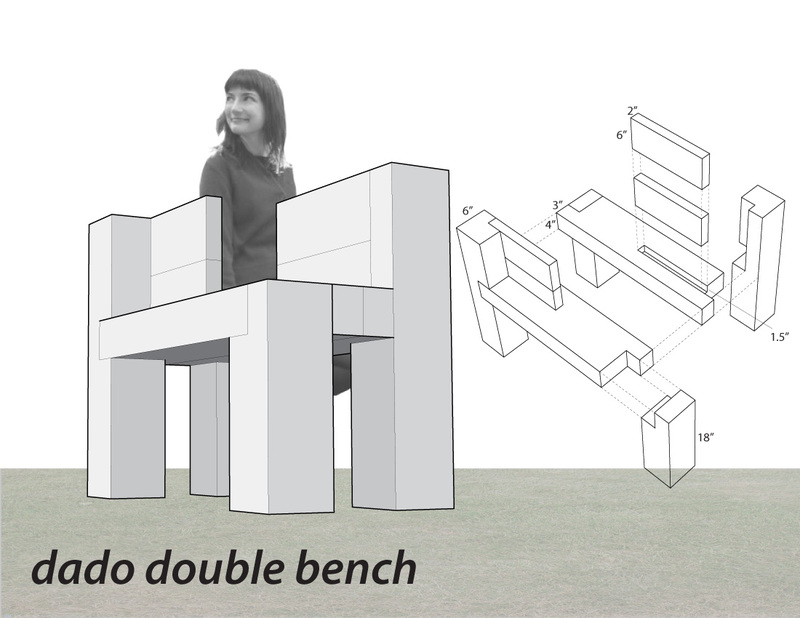 Like Abramovic’s performances, my design for the garden attempts to engage the passerby in order to entice them to participate. The artist I chose as inspiration for the garden design was Andy Goldsworthy. Though very mainstream, I thought his ideas and method of working suited this project well. He only uses nature in his art and it's all about the ephemeral nature of all things. He documents not only the making of his pieces, but also their deconstruction by natural elements. Its about how all things change, nothing is permanent. A popular motif of his work is the serpentine pattern. So, I tried to incorporate that into my design as well as his use of materials. Frequently he will use one material but vary its color, size, and/or texture. 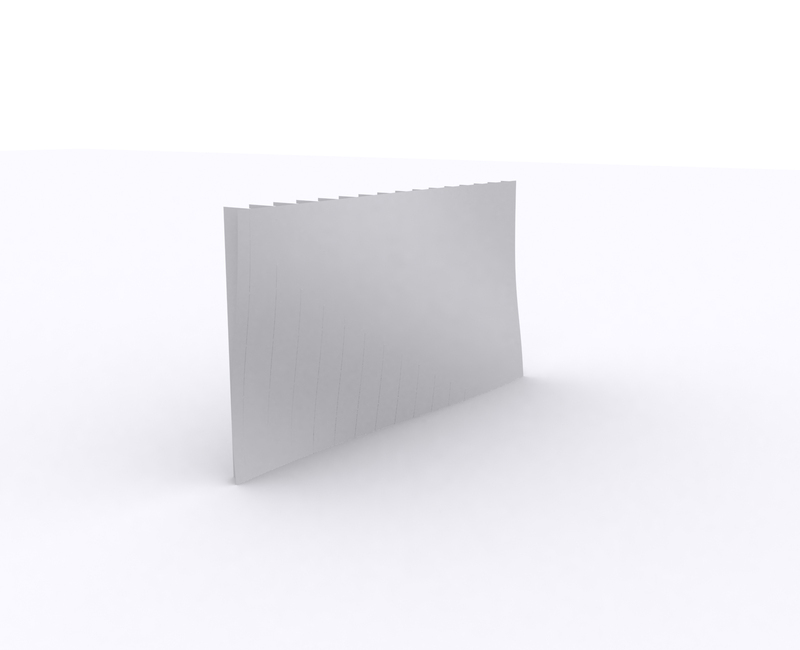 So I want to limit the material palette in my design. 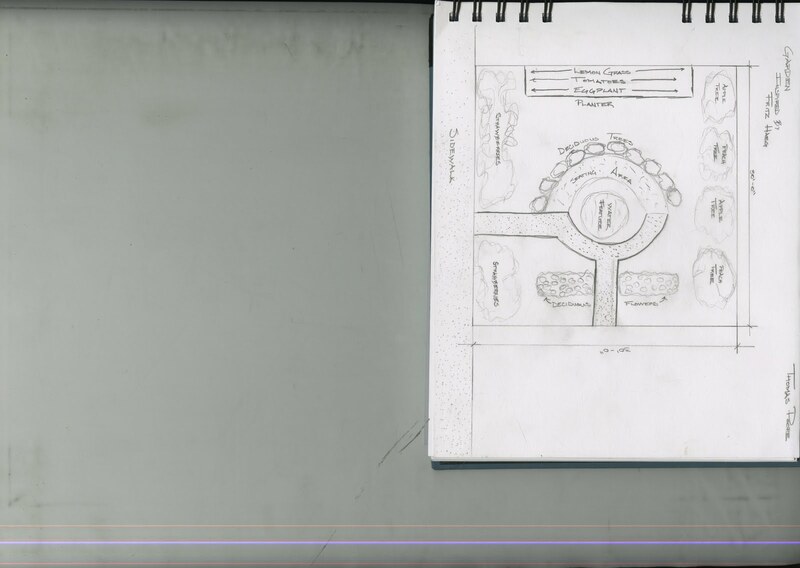 My design entailed planting trees and having a path around them. The area under the trees I envision being designated for activities like learning, eating, art projects, and any other events. The rest of the area is to be grass, which eventually in the future can evolve and potentially become areas for growing vegetables. Because the area is kind of small I want to keep most of it free and clear so that a larger group can gather in the garden and it won't be too crowded. It also leaves space for temporary installations of art created by the community. I think the best solution would be to make the serpentine path out of either only stone or only wood that transforms over its course. During class it was suggested that the path would lay itself out, like wherever people walk around the garden the most. The stones could also come from the earth, and sifted according to size, which is a possible teaching moment; learning the different layers of soil and which rocks and plant grow in each one. I decided to only plant one type of vegetation: trees. More specifically though, planting five (or three if that's too many for the space) different types of indigenous trees. There are an infinite number of teaching lessons here. Different types of trees that are native to the area could lead into a discussion about what kinds of trees are native to other environments and why, learning the leaves of the trees and their nuts, fruits, and/or flowers. All kinds of different animals make use of different trees: birds, squirrels, bugs, and many more. Another teachable moment could be all about how these different types of fauna, how to identify them, what they eat, their place in the life cycle, and much more. 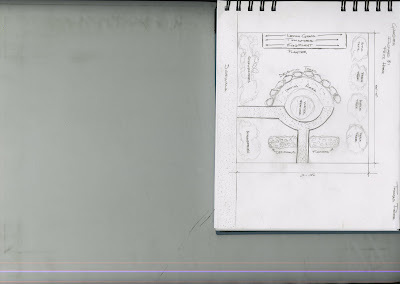 A lot of ideas from other garden design projects are also really interesting and could easily be amalgamated with the principles of my design. 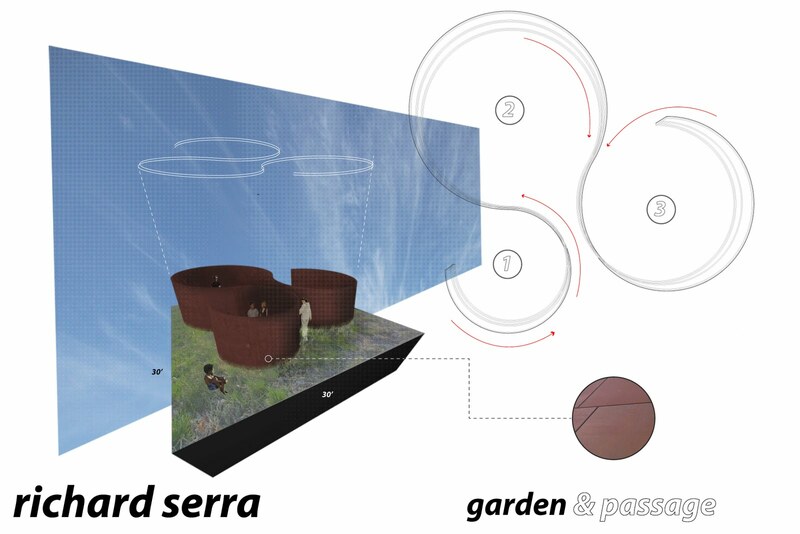 My garden concept synthesized elements from Ursula von Rydingsvard woodwork and Mel Chin's "Revival Field." “Inflorescence” emerged from a concern with permanence and versatility. In urban communities experiencing revitalization, many initiatives and policy shifts struggle to take root because myriad groups and agendas are operating, and so few entities end up longitudinally invested in the work. Great ideas and positive projects end up collapsing. At 601 Tully, I’d like to see the artist-community collaboration result in a project that initially asserts itself as a distinct creation and eventually becomes exclusively co-opted by the community for authentic use and enjoyment. I’d like to create an open, inviting, relevant community garden that responds to the evolving needs of the surrounding culture. Words/concepts I prioritized include versatility, permanence, care, investment, open. 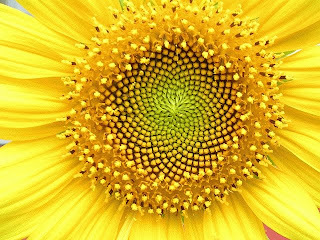 The sunflower is simultaneously derivative of “Revival Field,” as the plant phytoextracts the heavy metal lead from soil. 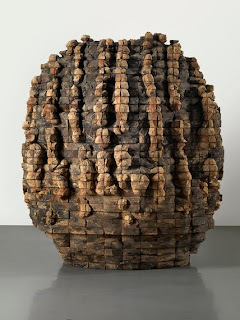 Essentially, “Inflorescence” extends the work of “Revival Field”—adding to the sculpture rather than simply repeating it— if we can accept that the Earth is a solid slab of clay, a single medium. In the case of 601 Tully, the artwork occurs within a community and in a far more immediate public space. While collard greens, broccoli and brussel sprouts would also function to phytoextract lead, these plants seem less whimsical, colorful and dynamic. While I appreciate that the plot at 601 Tully may contain only traces of lead, I maintain that we must acknowledge the presence of toxins and eliminate them. In suburban communities, any contaminate would be addressed and removed before the land could be converted to a plot for the community and children. Why wouldn’t we take this same initiative in the city of Syracuse? As outsiders, it is our responsibility to examine all of the issues affecting the community space, to avoid the temptation to ignore those that may be problematic or tedious; if the community eventually chooses to plant berries on the land, without having to rely on raised beds, then we should ensure that the community is able to do that. This freedom and flexibility, this ability to grow and plant and eat without limitation, speaks clearly to equity and class and environmental politics. As Ford put it, the sunflower “purifies” the land and is itself a symbol of that process. Planting sunflowers at the heart of the community garden would lend brightness, color, uniformity and fun. The single crop, clustered in the center of the site, would ensure uniformity and curb appeal, since sunflowers shoot up to bloom at different heights. The plants might function as a porous fence, a “cell wall” inviting positive participation while claiming the plot for the 601 Tully community. The sunflower seeds would be edible and accessible, and the plant is versatile and hearty unlike flowers, which might get trampled by playing children. Opportunities for involvement and educational workshops would be plentiful, since lessons about phytoextraction and tending crops could easily be incorporated into a curriculum. The actual construction would not be difficult. Sunflowers are weeds, so they grow easily and without a great deal of attention. “Inflorescence” should feel intrinsic to the place, even if it can’t be, and it should evolve with the needs and desires of the community. It would engage dynamically throughout the seasons and with the neighborhood over time. After a predetermined period, during which the sunflowers manage the phytoextraction of lead, the community might elect to plant a new crop or divide the land for shareholders to tend. This kind of domestic decision-making would model Miwon Kwon’s fourth model (as discussed in Chapter 4) and would honor the community’s authority, empowerment and autonomy. My Design was based of the work of Fritz Haeg. draw people from the community into the garden. 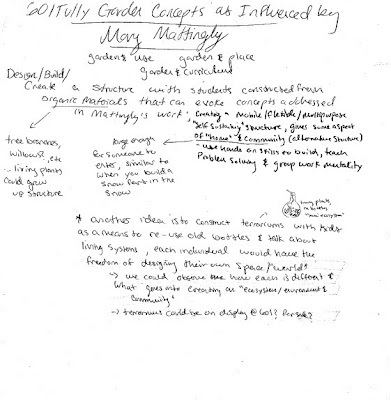 In 601 Tully I am engaging in a long term systemic project that aligns with my interests in social sculpture, education, and community development. Over the summer I worked for Say Yes to Education in the Blodgett School where I taught art & architecture to 3rd graders. During the semester I teach ESL to refugees in the North Side and also at Nottingham HS. I also teach photography and literacy once a week to students from the South and Near West Sides. In my sculpture and furniture work, I try to focus on systems of production rather than individual pieces. Using exclusively recycled materials I strive to create simple objects that will retain their usefulness in any setting. 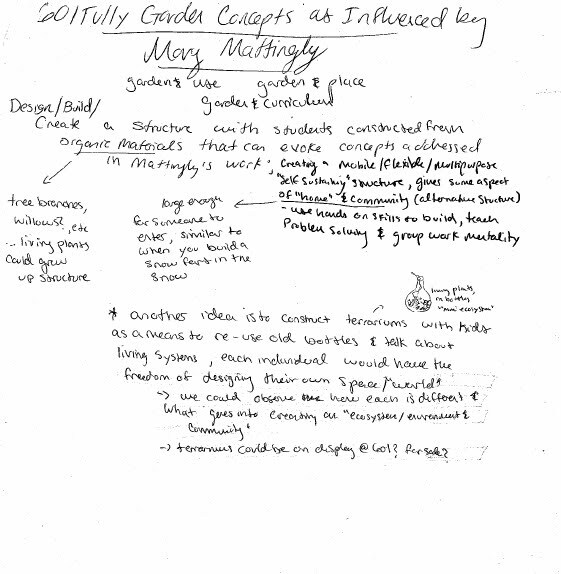 My hope is that I can establish methods of teaching others to become competent creators who solve their own problems. With my furniture specifically, I display the process of construction rather than hide it. When making conceptual decisions, I use my knowledge of city and its residents to inform my design. I agree with Miwon Kwon's criticism of contemporary artists' notion of communities. Just as Susan Lacy's piece Full Circle epitomized a “community of mythic unity,” the entire Near West Side Initiative is in danger of making assumptions about the imagined communities it serves. If we assume a loose conglomeration of low-income residents in need of our benevolence we would indeed create a community of “mythic unity” whose response to our efforts would be just as haphazard as the effort itself. If on the other hand we identify a community by its geographical location (the Near West Side) or by a previously established one (the Boys and Girls Club for instance) we run the risk of misunderstanding the original nature of the community. At best we might only impose our own predetermined agenda on the community of choice, thus committing the blunder of what Kwon calls “Site Community.” But 601 Tully is different from both Full Circle and We Got It from Art Chicago because it relies on a long term development of purpose that coincides with the development of a community. In this way 601 falls into Kwon's fourth category, “Invented Communities.” Far from a blunder, I consider this to be 601's strength. In its attempts to help a community, 601 is in fact creating a community. This in turn may be far more helpful to those who need help than an art project would be to a pre-existing community. I do not believe that one's role should be defined by one's title, but rather one's title should reflect his role. As 601 has not yet fully realized its role in the community it is constructing, I find it fitting that the creators have so much trouble categorizing the project and describing the function of the building. Is it a gallery, cafe, classroom, storefront, or community center? The answer to this question will only be revealed when the community that uses it is fully realized. The important thing is that 601 Tully will crate a support system and infrastructure that allows others to build their own apparatuses, systems, and community. Perhaps it will less a community center and more a site where community is forged. A community lab if you will. Once again, the emphasis is on the system rather than an individual piece. 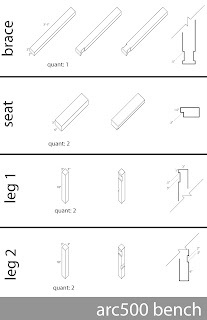 A foot stool, when designed well, can serve any number of functions that the user is capable of devising. A finely carved, ornate, high-backed chair on the other hand, can only be sat in. Let us hope that 601 be more like the stool, and less like a high-backed chair. In 1996 Agnes Denes completed Tree Mountain – A Living Time Capsule. over the course of 3 years, she constructed a conical hill in the Finnish countryside upon which 11,000 Finnish volunteers planted 11,000 Finnish pines in a pattern derived from the seeds of the sunflower. Each volunteer also received a certificate of ownership, good for 400 years, that could be willed to future generations. The sculpture garden of 601 Tully would include a similar installation on a smaller scale. I small mound of earth would be planted in the center of the garden. In this mound of earth would be planted 30 or so fennel plants, placed in the pattern of the fennel plant itself, whose branches, flowers, buds, and seeds, all occur in a repeating fractal pattern. A certificate of ownership would accompany each plant and the volunteers who planted it would transfer ownership each year to another member of his or her community. This exchange in possession would build a network of responsibility to a shared garden space. As artists, what interpretive and interventionary services can we offer to Syracuse and 601 Tully? I like to believe that each one of us is unique to the next, has had different life experiences, and views everything with different perspectives, opinions, etc. Therefore each one of us possesses skills to “bring to the table” and if we all voice our opinions, thoughts, and skills, and apply them together, 601 Tully will indeed successfully happen. My interest in this project is tied between a love for art, a study of urban environments and natural environmental issues, and a growing interest in education, specifically focused on and influenced by the city of Syracuse and the public school system. I believe art is a necessary tool, framework, and activity for maintaining mental health, allowing for communication, problem solving, and seeing in a new light. It sparks creativity in minds and an almost meditative layer of thought. Art can be experienced or “witnessed” by, as well as created by, persons of all ages and cultures, which I find both fascinating and admirable. I’d like to explore the uses and benefits of art in context of 601 Tully. Since being an active part of this project, I have spent time working with kids and facilitating art projects that help them be creative, interactive and explorative while also learning and teaching. Each of us has something to learn from one another, and on some level where we can connect and collaborate, no matter our set “status” or role. Art is a good way to take part in this type of experience, and 601 Tully could be an example of this exchange in action. I am participating in a collective artistic praxis that re-imagines community and public art through awareness, questioning, a redistribution of power, contact and connection, engagement, efficacy, action, and production. Community is a verb, not a noun associated with land ownership. A community of being, rather than a being of community, demands insight, engagement, commitment. It suggests life and longevity. With members of 601 Tully, I am collaboratively engaging members of the neighborhood (Boys & Girls Club, Westside Residents Coalition, Café Kubal, among others) in 6-Word-Memoirs. Youth and adults are invited to create their own brief memoirs, drawing from their own experiences and paradigms. The inclusive practice, designed by Smith Magazine, suggests an accessible form that yields rich, varied, inexhaustible artistic response. The structure of six words (no more, no less) offers a manageable space for expression, but the content—the words, the punctuation—are the writer’s. Participants make the form their own. Ultimately, the distance between artist/curator and participant collapses: judgments about expertise, worth, and validity are mostly inapplicable. A reader may be as equally moved by the memoir of an artist as she is by the words of a seven-year-old. Of course, when the memoirs are engraved into the gallery floor at 601 Tully, all memoirs will appear anonymous. a. How do we “negotiate, coordinate, compromise, research, promote, organize, interview,” (51)? b. 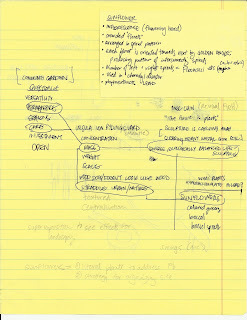 How do we ensure “originality, authenticity, and singularity” (52). How do we make sure the work is about our community (as defined by us)? How do we make sure the city, the block, the location, does not become a commodity? c. If the artist is reemerging as the progenitor of meaning, even in collaborations, how can we act as authors at 601 Tully? While I appreciate that Kwon’s model of collective artistic praxis privileges elasticity and flexibility— that it rejects hierarchy and exclusion— I believe there is incredible power in self-naming. A community that is reluctant to identify itself is unfamiliar. It is difficult to interpret, difficult to support, difficult to advocate and assert politically. At 601 Tully, we are witnessing a great deal of interest, investment, participation and excitement from locals who know that we are the new 601 Tully. I look forward to next semester, when, I’ll continue to create and participate in a community of being with “Writing in the Community,” a course taught by poet Michael Burkard.